The US has threatened to revoke visas for members of the International Criminal Court (ICC) at The Hague should they so much as investigate any criminal actions of American military personnel. The United States has never been a member of the ICC and considers it without authority over matters related to Americans or allies conducting joint operations. Secretary of State Mike Pompeo issued a scathing rebuke Friday following ICC statements that it would look into possible US war crimes in Afghanistan, and as pressures mount for the court to bring cases against Israel for human rights crimes against Palestinians. “We are determined to protect the American and allied military and civilian personnel from living in fear of unjust prosecution for actions taken to defend our great nation,” Pompeo said Friday. Pompeo went to far as to specifically address ICC members and employees: “If you are responsible for the proposed ICC investigation of U.S. personnel in connection with the situation in Afghanistan, you should not assume that you still have or will get a visa or will be permitted to enter the United States,” he said. Washington has long relied on defense of "US sovereignty" when the international court has received allegations of torture by American forces or allies, or other war crimes like "mistaken" coalition bombings of civilians attending wedding parties or funerals in Afghanistan. 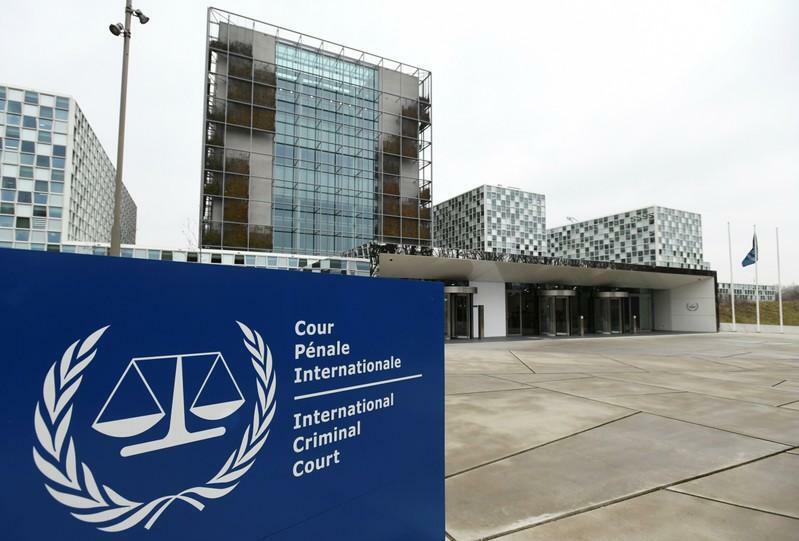 The US position has been to say American courts and investigators can handle and prosecute if need be any allegations of US misconduct or war crimes, and has for years throughout the "global war on terror" viewed the Netherlands-based ICC with hostility. During his Friday comments Pompeo said further the restrictions “may also be used to deter ICC efforts to pursue allied personnel, including Israelis, without the allies’ consent,” according to the AP. The ICC, for its part, has vowed to continue to operate "undeterred" by any US actions, and articulated that the court "is needed to prosecute cases when a country fails to do so or does an insufficient job of it," as the AP reported. Pompeo's words were also widely seen as a threat to the ICC prosecutor and personnel who last year formally requested of the court to open an investigation into war crimes allegations against US forces and intelligence, as well as allied Afghan national security forces, going all the way back to May 2003. Among the more shocking actions the US has taken to prevent any attempted prosecution of Americans by the ICC was the Bush administration's American Servicemembers Protection Act of 2002, popularly derided as the "Hague Invasion Act". Secretary of State Pompeo today said U.S. will revoke or deny visas to International Criminal Court (ICC) personnel who attempt to investigate alleged abuses committed by U.S. forces in Afghanistan and Israel. The law was designed to protect all US military and intelligence members on the basis that Washington could at anytime use force to liberate them from ICC incarceration. U.S. President George Bush today signed into law the American Servicemembers Protection Act of 2002, which is intended to intimidate countries that ratify the treaty for the International Criminal Court (ICC). The new law authorizes the use of military force to liberate any American or citizen of a U.S.-allied country being held by the court, which is located in The Hague. This provision, dubbed the "Hague invasion clause," has caused a strong reaction from U.S. allies around the world, particularly in the Netherlands. With such significant threats, the ICC's actions against Americans, Israelis or allied forces will likely only remain symbolic and designed to drive media attention and scrutiny of American actions overseas. Meanwhile the pattern will remain of only third world, African, and Balkan warlords actually being brought to justice at the Hague, and never western officials.